Marty Bobgarner is an electronic music project by French musician and producer Thierry Frossard (aka T2’n and Charly’n Black). 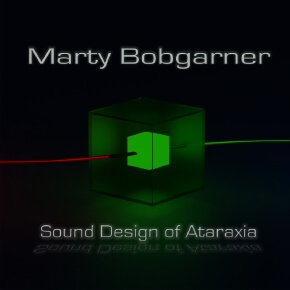 The album „Sound Design Of Ataraxia“ is the 2nd longplayer album by Marty Bobgarner, released on the label Lemongrassmusic. At the same time this album is a part of an album triptych named „Sound Design Of Ataraxia“. The first side of this triangle was released under Frossard’s pseudonym „Charly’n Black“ in 2015. The second part of the trilogy followed in May 2018 and was released under the project „T2’n “. Now the series is being completed by Marty Bobgarner’s album – so let the magic flow !